It is often said that if you can’t measure something, you can’t improve it. While this is not true for everything, it’s certainly true for the traffic coming to your website. If you’re not measuring how well your digital marketing efforts are working, you won’t know how to improve them – or brag about your successes! While the three UTM tags mentioned above are frequently used together, there are two others that can provide additional ways to slice your data: utm_content (typically used to differentiate between different links, banners or other calls to action within a single post, email or ad) and utm_term (usually used to track which paid keywords resulted in the ad that was clicked). Once you have UTM tags appended to all the URLs included in your social media, paid advertising and other digital marketing campaigns, you will be able to receive accurate reports on how traffic reached your site, in terms of sources, channels, campaigns and so forth. Visitors click on a link that leads to a page on your website. When that visitor arrives at your site, Google Analytics captures the UTM tags and their associated values and stores them for future reporting and analysis. 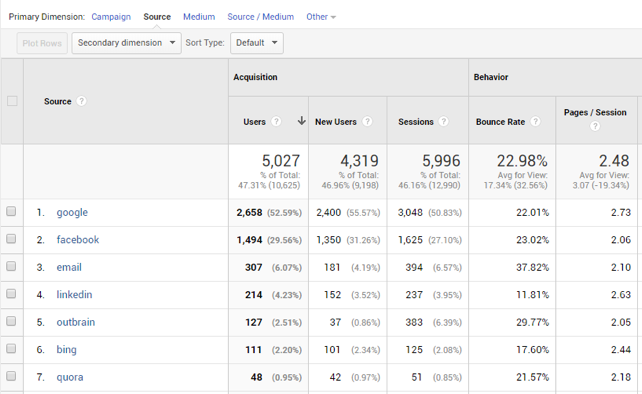 Because Google Analytics is now recording the UTM tags, you will be able to group and analyze the metrics reported by the UTM tags for much deeper insight into your visitor traffic. You can link traffic sources, advertising platforms, social media platforms and even specific campaigns to Google Analytics goals. You can determine exactly which links visitors clicked, even within a single blog post or email, in order to focus on the most effective calls to action. You can accurately compare the impact of individual campaigns across all the channels each ran on. You can evaluate how different channels performed for a given campaign or set of campaigns. You can evaluate how specific keywords are performing in your paid advertising campaigns. Armed with this data, you can determine marketing ROI and optimize your marketing efforts: instead of blindly running campaigns and guessing what’s working best, you will be able to fine-tune your campaigns based on hard data. Now that you know what UTM tags are and why they’re important, let’s take a look at how to actually implement them in your marketing. The basic idea, as already mentioned, is that you want to include UTM tags in every link that you use, across all your digital marketing efforts: website calls to action, paid advertising, social media posts, subscription emails – everything! Suggested utm_medium values include “paid” (for paid channels), “social” (for social media channels), “video” (for links in videos) and “email” (for emails such as newsletters). Every individual campaign will need its own value – remember to consistently use the identical value for every link across a campaign. Finally, you can optionally include values for utm_content (such as “topbanner” or “emailsignature”). utm_term values, when used, will be specific for the keywords used in those ads. Fortunately, there are tools that can help you create your UTM-tagged URLs without risking typos. The most popular one is Google Analytics Campaign URL Builder. You simply fill in your values in the textboxes and then click the Copy URL button to get the complete URL to include in your campaign. UTM.io is a highly rated UTM builder tool that is provided as a plugin for the Chrome browser. On the surface, it is quite similar to Google’s Campaign URL Builder, but it has some time-saving features, including presets (so that you don’t need to type in the same values again and again) and URL capture (just visit the webpage for which you want to create the UTM tags and open UTM.io to have the base URL already entered for you). To add UTM.io to your Chrome browser, click here. Once your inbound links are tagged, you will be able to use Google Analytics to clearly see where your traffic is coming from, how your channels and campaigns are performing and even which links your visitors are clicking to land on your site. To get to this report, use the main Google Analytics menu to drill down to Acquisition → Campaigns → All Campaigns and then click on the “Primary Dimension” links on top (highlighted in the above image). By selecting Campaign, you can gain visibility into the traffic and performance of individual campaigns. By selecting Medium, you can understand how particular types of channels – such as social media, paid campaigns and email newsletters – are performing. If you decide that a different or more granular way of looking at your traffic would be helpful, simply add more values to the different UTM tags you’re using and, in no time, you’ll be able to slice and dice your traffic based on those additional dimensions. That’s one of the best parts of UTM tags – you can define any values you want for completely customized website traffic analytics. Now that you’ve got the idea, here is a brief look at some “best practices” that experienced marketers recommend implementing when using UTM tracking. 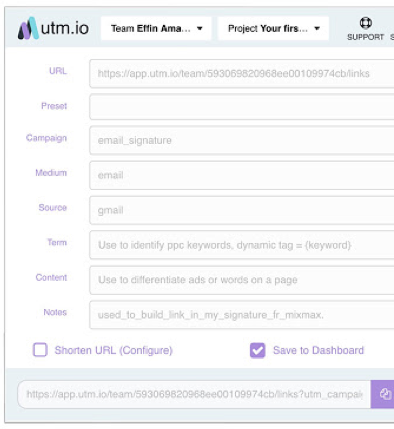 To be able to accurately track your traffic and campaign performance, you want to add UTM tracking to all your campaigns. It’s fine to ramp up gradually, but once you’ve decided to start using UTM tags, every new campaign should definitely include them. In parallel, go through all your existing campaigns – social media, paid advertising, email marketing, etc. 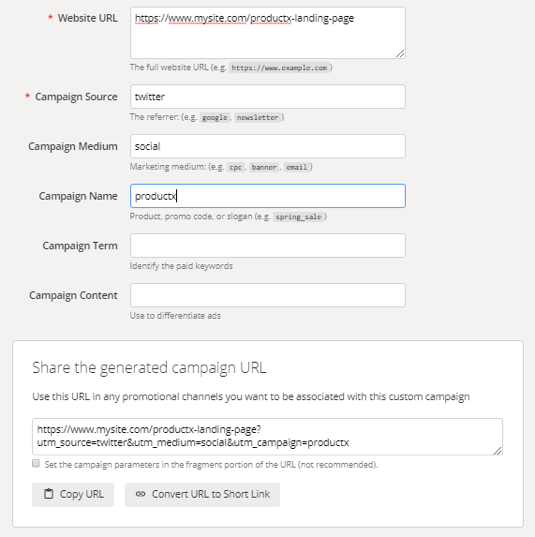 – and progressively add UTM tags to every URL in use. Because assigning values to UTM tags is just a matter of entering “freestyle” text, it is easy to end up using different variations of what are, essentially, the same items. This is even more likely if multiple people on your team are setting up your UTM tags. For example, “Social”, “social”, “social media”, “social-media” and “SocialMedia” might all make sense, but Google Analytics will track each one independently (yes, capital letters and lower-case letters are treated differently). The problem is that you won’t be getting a clear and explicit picture in Google Analytics reports if these different values fragment your traffic sources, mediums and campaigns. It is recommended to avoid this situation by deciding to only use lower-case letters. Also, it’s a good idea to avoid using spaces (use an underscore or dash character instead). A great way to further ensure that you are using consistent values across all UTM-tagged URLs is to maintain a spreadsheet listing all the values that your company is using for each UTM parameter. It’s also a good idea to include a brief note describing what each one means, to avoid any possible confusion later. This is especially important if multiple people in the company are setting up UTM tags; in this case, set up a shared spreadsheet (perhaps using Google Sheets). However, even if you are the only one using UTM tags now, maintaining such a list will help you remain consistent, and it will make it easier to onboard someone else joining you or replacing you in the future. If you are using long UTM value names and/or if you are using all five available UTM tags in your links, it might make sense to use “short URLs.” This means using a service that provides you with a short URL that redirects to the real/complete URL. While this adds an extra step to your creation of UTM-tagged URL links, it means dealing with shorter and easier-to-handle links, and less overwhelming URLs when seen by visitors. The most popular short-URL service is Bitly. Note that another popular one, Google URL Shortener, is being discontinued and should thus be avoided from now on. Correctly implementing and using UTM tags can provide valuable insights into your traffic patterns. Leveraging the goldmine of data UTM tags make available will help you improve your campaigns and optimize your digital marketing efforts. The time to get started is now! Bonus trivia: You may have wondered at some point while reading this article, What does the UTM acronym stand for? 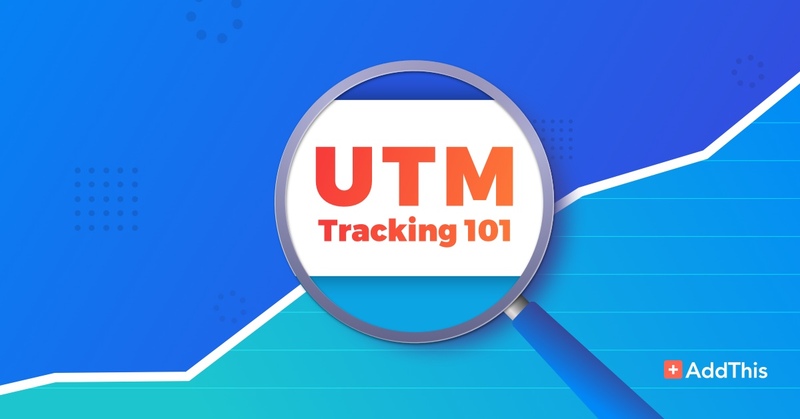 Interestingly, UTM stands for the name of a website traffic analysis application named, “Urchin Traffic Monitor,” which was developed in the 1990s by the Urchin Software Corporation. The Urchin Traffic Monitor application, which was particularly popular with hosting providers and ISPs back in the day, introduced the ability to track and analyze traffic metrics using the same “UTM” tags that are still in use today. Google acquired Urchin Software Corporation and its UTM application back in 2005 and evolved it into Google Analytics. Google continued selling the stand-alone UTM application until 2012.